At least 12 suspected militants were shot dead in two separate encounters in Karachi on Monday evening, police claimed. Malir SSP Rao Anwar claimed that eight suspected militants were gunned down in Pipri area of the city, while four others were killed in Gadap. The officer claimed that the two encounters took place after police conducted a raid at an alleged militant hideout in Pipri, where armed men opened fire on police which resulted in an encounter. “Eight militants were killed on the spot while four others, who fled the scene, were killed in Gadap area,” said the officer. 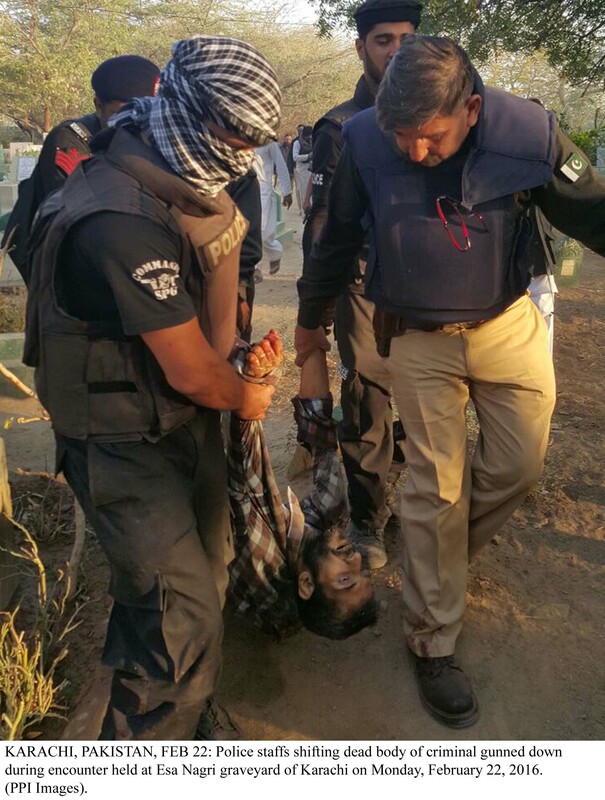 Five of the deceased suspects were identified as Sohail, Khalil, Bilal,Talha and Abdul Salam. The Malir SSP claimed that the raids were conducted on information provided by recently arrested high profile militants, Naeem Bukhari and Farooq Bhatti, adding that the deceased men belonged to Al-Qaeda in the Subcontinent and Lashkar-i-Jhangvi (LeJ). “Explosives, hand grenades and suicide vests were also recovered from their custody,” said Anwar.